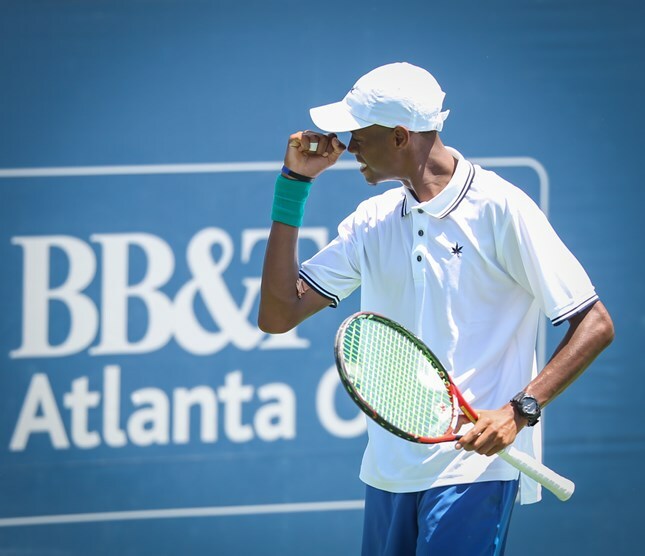 Atlanta native, and Georgia Tech Yellow Jacket, Christopher Eubanks struck again on Sunday, scoring another upset in the BB&T Atlanta Open qualifying draw by defeating top-seeded Thiago Monteiro of Brazil 6-4, 7-5. Eubanks will now be placed into one of the four "qualifier" spots in the main draw. In the first set, Eubanks pulled ahead with a break at 2-2 and continued to hold service to secure the first set. Eubank’s plan included keeping Monteiro behind the baseline with his strategic cross-court groundstrokes and accurate volleys. Eubanks took control of the second set again with his powerful serve, delivering nine aces and earning two breaks. Eubanks served for the match at 5-4, but played four nervous points knowing what was on the line. After breaking at 5 all, Eubanks finally held service by hitting an ace on match point. “I came out focused on playing the best I can play," admitted the Georgia Tech junior. "He’s ranked No. 104 and he’s had a great career. I’m happy I was able to come out and play well, and see what would happen." The good story keeps getting better as Eubanks earned his wildcard spot in the qualifying round by competing in the BB&T Atlanta Open Wildcard Challenge, where he defeated former Samford player, Zac Dunkle in a three-set final. He will continue his Atlanta Open run as one of the few players competing in both the singles and doubles main draw. In other qualifying matches, Australian John-Patrick Smith served seven aces in a 7-6(4), 6-3 win over Tobias Kamke. Mischa Zverev ended the run of Nicolas Meister with a 7-6(5), 7-5 win. American Austin Krajicek took the last qualifying spot with a 3-6, 7-6 (5), 7-6(5) win over James Duckworth. News of note: Rajeev Ram has withdrawn from both the singles and doubles in Atlanta as he will be playing doubles in the Rio Olympics with Brian Baker. He and Donald Young were scheduled to play doubles and their spot will be taken by an alternate team.